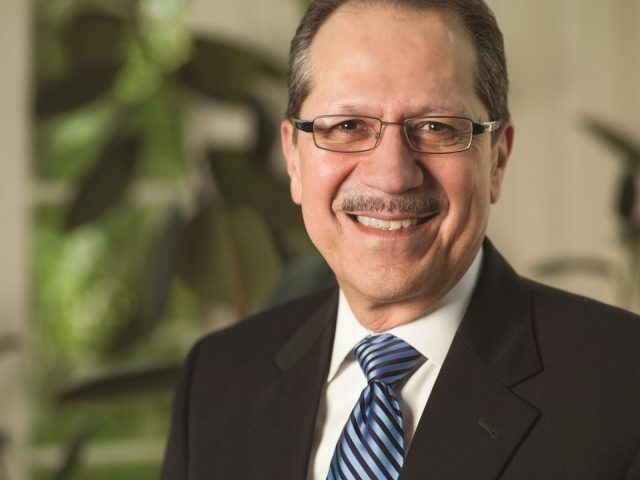 Today the Grand Rapids Community College Board of Trustees presented the President Emeritus Award to former GRCC President Juan Olivarez for his accomplishments to college and the local community. The board surprised Olivarez with this award at the meeting using a video detailing his accomplishments. Olivarez was selected GRCC president in 1999 and hit the ground running. He established the Bob and Aleicia Woodrick Center for Equity and Inclusion, Salute to Women Awards, Latino Youth Conference and many more programs. Surprised and moved, Olivarez stood in front of the board to expressed his gratitude. Along with being the keynote speaker, Olivarez will receive the award during the commencement ceremony on April 27 at the Ford Fieldhouse. The board also recognized GRCC students Marcus Barissi, Elijah Paparella and Micha Rupert for receiving the Phi Theta Kappa Academic All-Michigan recognition. 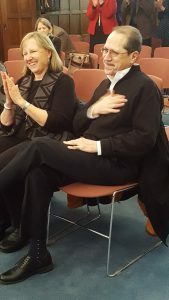 GRCC student Kelly Burrows joined Paparella as they were acknowledged for being named semifinalists for the Jack Kent Cooke Undergraduate Transfer Scholarship. This scholarship is the largest award given to transfer students from community colleges. The scholarship is given to 45 students each year, however, semifinalists can also reap many benefits. The program notifies universities that the student was a semifinalist and often the student will get calls from universities trying to persuade them to enroll. Students often end up getting more money from schools that they want to go to because they were semifinalists. Before the meeting was adjourned, Trustee Deb Bailey made a closing statement regarding the honored students at the meeting and the support that faculty provides them. The next meeting will take place at 4:15 p.m. on May 7 in the Board of Trustees Library.